Our club competes widely in track and field athletics. At each fixture participating clubs are expected to supply their share of officials. Generally, this means a field team who can take charge of any of the eight field events, plus track officials and timekeepers. The promoting club are required to provide, in addition, chief timekeeper, track referee, field referee, starter team and more. Would you like to join the club’s team of officials? 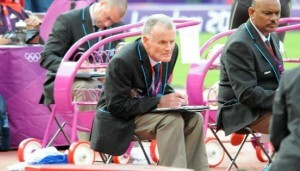 It’s important and interesting work, it’s at the heart of athletics, and it’s very friendly and sociable. 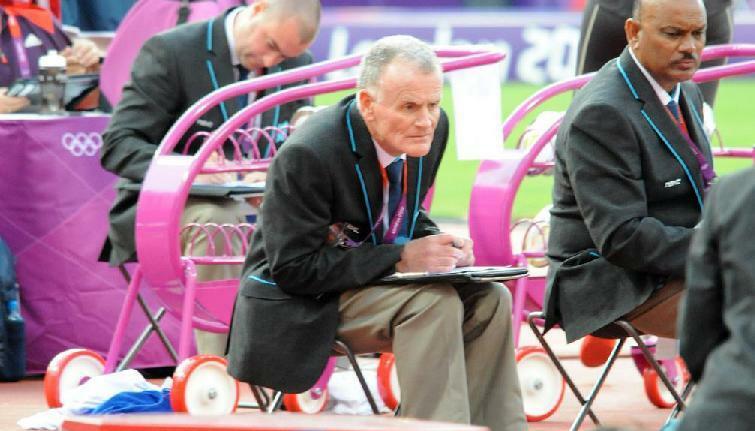 To become a qualified official you would take a half day course run by England Athletics then act as an unqualified official at four meetings. You would need to comply with procedures to obtain accreditation to deal with children, young people or vulnerable people while acting as an official. Anyone is welcome to join the programme. You do not have to be a member of Barnet and District AC or of any athletics club. The club will pay for your course and for your copy of the UK Athletics rules book. If you are interested and would like to know more please talk to our officials secretary Chris Stott.